Off lately, Neuromarketing is attracting more and more interest from marketers as a way of getting at the unconscious processes that lie behind consumers’ attitudes, feelings and behavior. A study was recently launched at the University of Oxford to study how Neuromarketing is changing market research and what this means for society. The study will also look into the possible implications for society and politics if consumers are seen to be less personally responsible for their decisions. It is one thing to see which parts of the brain become active in response to a stimulus. It is another to interpret what this means or what you can do with it. According to neuroscientists, there are 3 main parts to the brain, each functioning as a brain unto itself. These "three brains" - nestled inside one another -- are as follows. The "Human" ("New," or outer-most) Brain: Most evolved part of the brain known as the cortex. Responsible for logic, learning, language, conscious thoughts and our personalities. The "Mammalian" (Middle) Brain: Also known as the limbic system. Deals with our emotions, moods, memory and hormones. The "Reptilian" (Old) Brain: Also known as the R Complex controls our basic survival functions, such as hunger, breathing, flight-or-fight reactions and staying out of harm's way. But mostly the focus has been on correlation with so called ‘known centers’ such as: reward centre, self referencing centre, face recognition centre, liking centre, anticipation centre etc. 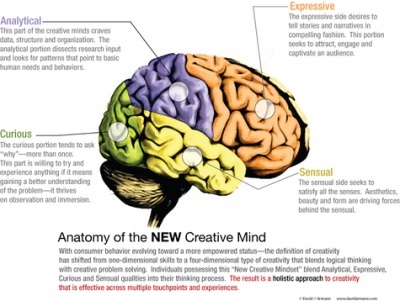 As a result, neuromarketing studies have increasingly pointed to various ‘known centers’ in the brain. Yet knowledge about these so called ‘known centers’ is often sketchy and the claims about their function are often reasoned speculation rather than known fact. It is becoming extraordinarily difficult for full time neuroscientists to keep up - let alone businesses. Let’s face it… marketing is not interested in science or complexity. The truth is that marketing clients want ‘KIS’ not complexity. They want simplicity - an easy to understand, single number solution that says ‘this ad (or pack, or scene) ... is good/bad ….and says whether it will work or won’t work. Rather than try to drink from that fire-hose, there is a temptation for marketing to oversimplify and over-claim. So as this bandwagon called neuromarketing picks up speed, some of the same threats that killed off previous technologies are re-emerging. A key one is over-claiming. It is an unfortunate fact that the sale of ‘smoke & mirrors’ often outsells substance. At least in the short term. Bias towards over claiming exists in the media as well as in the marketing of consulting services to clients. The media love sensationalist stories that can carry a headline like "'Buy centre of the brain found“. As a result, journalistic reporting is prone to outstrip the scientific substance. Neuromaketing is expected to open up a whole new world of understanding of the mind. 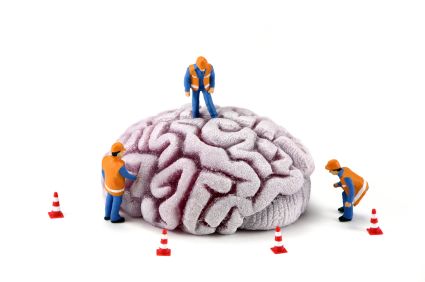 As it develops, neuroscience will deliver increasingly powerful, marketing insights. Its immediate application to general marketing requires businesses to tread carefully and disentangle the scientific substance from the promotional hype. Businesses prepared to exercise this caution and engage with it now have an opportunity for early-mover advantage before its application of neuromarketing gets constrained by regulation. In the longer term, neuromarketing will be far more socially welcome for applications that focus on products and causes with a clear social benefit - applications like road safety messages and persuading people to give up smoking or to resist over-eating. Developing and testing strategies that are designed to cure rather than create social pathologies is hard to argue with. Used in this type of application, neuromarketing will be refined to public applause, rather than public alarm.